The Congressional Joint Select Committee on Solvency of Multiemployer Pension Plans released a statement committing to continue their work to solve to the multiemployer pension crisis past Nov. 30. The committee was formed to find solutions to fund insolvent multiemployer pension plans solvency issues. 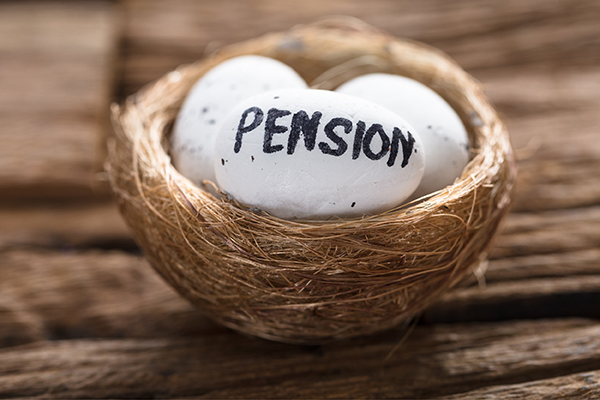 The committee reached the statutory deadline without coming to an agreement on proposed legislation to address multiemployer pension plans solvency issues. Machinists Union International President Robert Martinez Jr. responded to the Congressional Joint Select Committee’s decision to work past the deadline. “The International Association of Machinists and Aerospace Workers (IAM) appreciates the time and hard work that the 16 members of the Joint Select Committee on Solvency of Multiemployer Pension Plans devoted to attempting to resolve the serious issues facing financially troubled multiemployer pension plans,” said IAM International President Bob Martinez. “While it is now clear that the Joint Select Committee will not succeed in meeting its Nov. 30 deadline to report a legislative solution to the full Congress, the Machinists Union is hopeful that Congress will continue to seek a viable solution to help troubled plans. “There are approximately 1,400 multiemployer plans in the United States covering more than 10 million active and retired participants. The vast majority of these plans, including the IAM National Pension Fund, are financially healthy and provide a secure and pivotal retirement benefit to millions of Americans. There are, however, approximately 100 plans representing approximately 1.2 million participants which are in serious financial trouble and are in need of Congress’s help. “The Machinists Union is in full support of legislative solutions, such as the Butch Lewis Act, which would protect the earned pension benefits of retires and workers while bolstering the financial health of plans in critical financial status. However, the Machinists Union is wholly opposed to legislation that would jeopardize the financial health or place an undue financial burden on healthy multiemployer plans which make up the lion’s share of the multiemployer pension landscape. In addition, the Machinists Union is adamantly opposed to legislation that would cut the earned pension benefits of retirees or active workers. Please sign the petition to urge members of the Congressional Joint Select Committee on Solvency of Multiemployer Pension Plans to support the Butch Lewis Act as the best solution to fund insolvent multiemployer pension plans and avert a looming retirement crisis for millions of Americans.